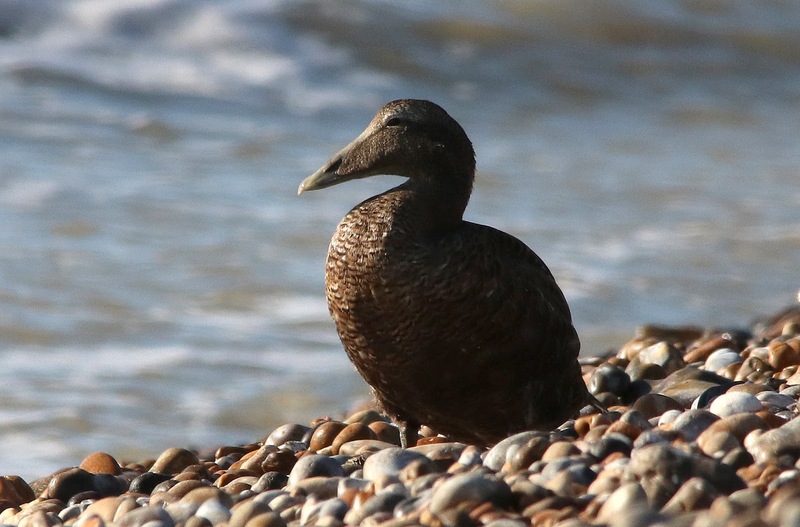 Most of the coverage was again offshore with at least 50 Arctic Skuas moving west during the day along with a Little Tern, 1000 Sandwich Terns and four Arctic Terns and more unusual birds in the form of a flock of 14 Pink-footed Geese and two Shags. 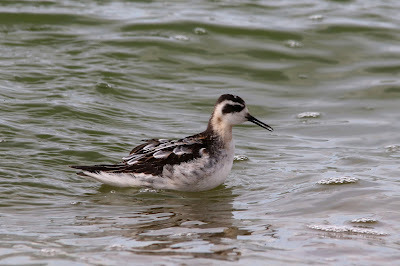 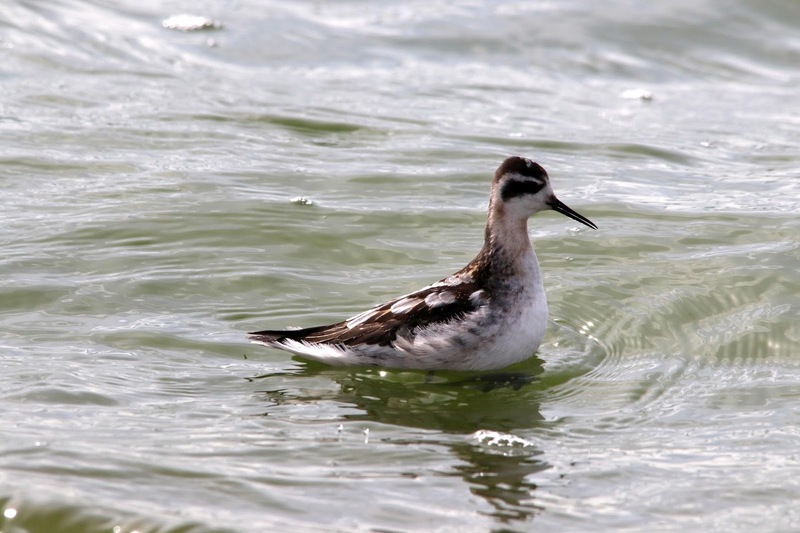 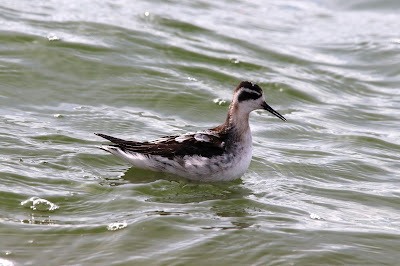 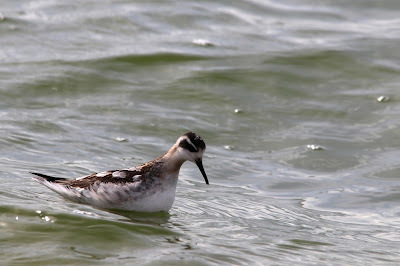 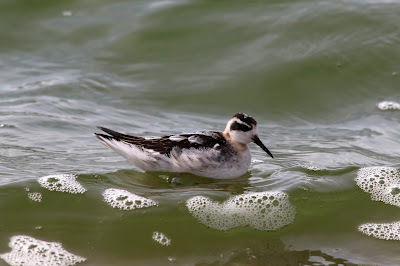 The Grey Phalarope was still present but in the calmer conditions today it was mostly being seen from the boardwalk. 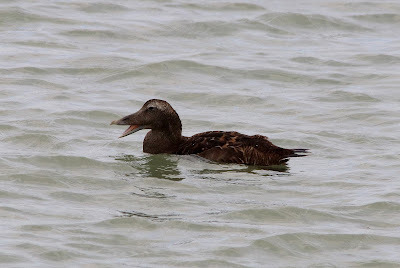 An Eider was also loafing around the shoreline and two juvenile Little Gulls and an adult Yellow-legged Gull were also present. 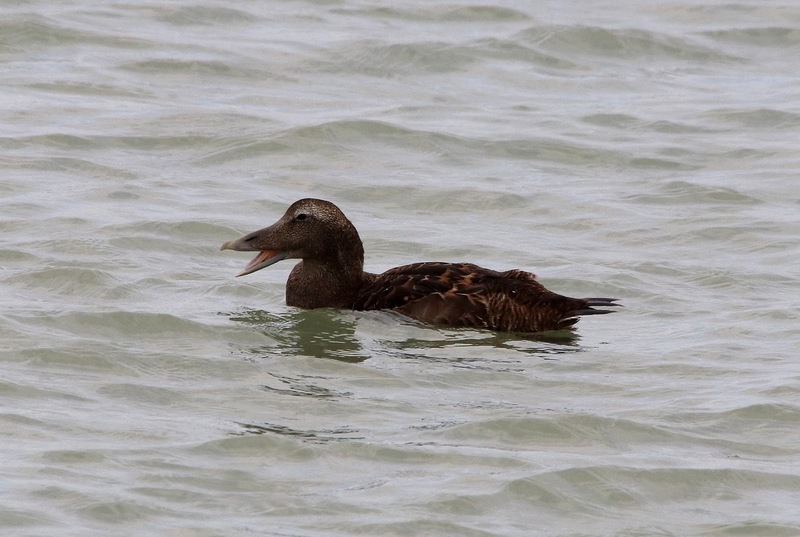 There was a bit of passerine movement overhead with 210 Meadow Pipits along with the first Rock Pipit of the autumn and an Osprey also flew south and out to sea at 0800hrs. 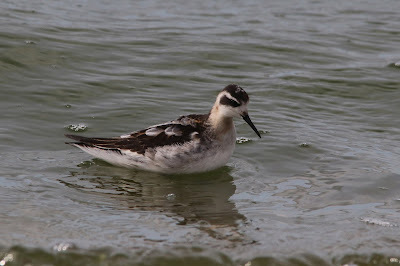 There was a decent scatter of grounded migrants as well including 35 Chiffchaffs, a Garden Warbler, 12 Blackcaps and seven Whinchats. Two Grey Seals and four Porpoises were seen offshore. Elsewhere, this Red-necked Phalarope made a brief appearance at the northern end of Scotney Pit as it fed alongside the froth gathered at the edge of the lake.